Looking for your Pet Portal? Please visit your veterinarian's website and sign in to your portal there. 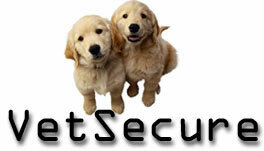 VetSecure is the secure website of Vetstreet, a provider of digital services to veterinarians and animal hospitals. For more information, please visit our website at www.vetstreet.com. © 2019 Vetstreet. All rights reserved.